It's funny how when things go bad, our first instinct is to find out who's at fault. Well, often it's pretty obvious, right? Somebody didn't do their job. Well, once that becomes our line of thinking, we can do 5 why to drill down to root cause. Usually it comes down to that person was either stupid or they didn't care, and obviously they need to be written up or fired. Once we become enlightened, root cause is usually "we didn't teach them well enough" or "we didn't communicate the importance well enough". Either way, if the student hasn't learned, the teacher hasn't taught. In my 58 years, I've learned that humans are highly intelligent and highly motivated to do the right thing! If, for some reason, you have a few humans on your staff that don't possess these common traits, then I ask "who is the knucklehead that hired these people tat are dumb and don't care?" Comparisons to Bartman, a poor gentleman who reached out to catch a baseball, thereby preventing the Cubs from being world champs. People pointing out the fact that Cody was hired to do only one job. "He's making millions of dollars to kick a #@! *(&^% football, the least he can do is do his $#^&*(&^ job!! Cody and his family received death threats because of the dark, dire predicament he put them in....no Bears football next week or the week after or the week after that. Videos on Twitter of people punching doors, kicking television sets, etc. I watched the game, and between officiating and just loving the game, it was probably the 1000th game this season I watched. 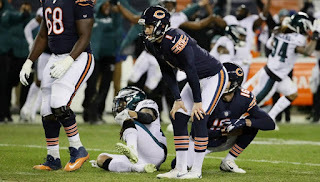 One thing I can assure the death threateners, the door punchers and television kickers is that the kicker for the Chicago Bears is highly intelligent and highly motivated. Unless we have a robot kicking field goals, or doing heart surgery or driving a tractor trailer or running a CNC machine for that matter.....mistakes will happen. One good way to make Bartman, Cody, the referees, the weather all irrelevant.....score more! It's amazing how good we officials get when a team is scoring a lot! Surgeons, engineers, golfers, managers, coaches, football referees, you name it, all get paid to do one thing. Coincidentally, every single one of us fails to do our job periodically. If you ask some of the fans, we officials seldom do our job right. Nobody's perfect, including Cody. Whatever doesn't kill ya, makes you stronger. That was my Dad. Pretty sure the sun will come up and then set. I doubt people will know the difference in 2050. Give Cody and his family a break, the Bear's defense let the Eagles march down the field and score, didn't they? Are those defensive lineman too big to threaten? The NFL said the kick was tipped, why not threaten the 6'6" 365# left guard? Whatever you punch or kick, you'll just have to drag it to the curb on trash day, or replace it, or do some non value-added work, fix it. The theme here, as managers, is to not knee-jerk to the 5 whos, which seems to be so instinctive (did it for years). Get to root cause! 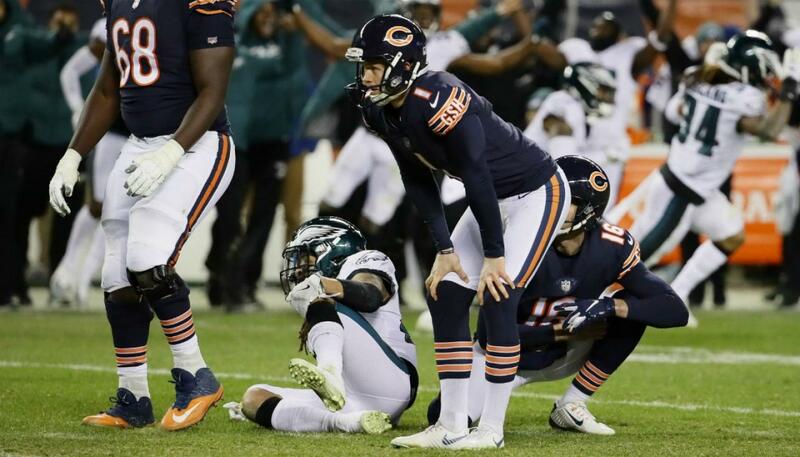 And Codey Parkey, chin up, I am rooting for you in 2019 and beyond. 5S is NOT I Repeat NOT Housekeeping! Don't Make LEAN the Company Hobby!